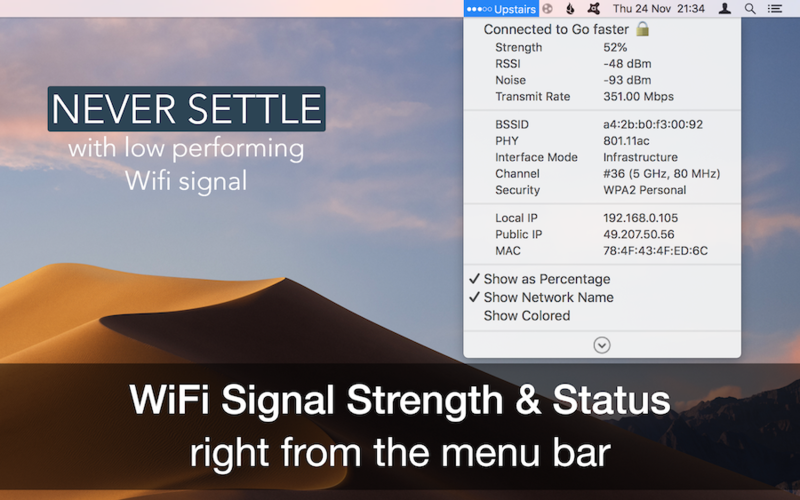 See the status of your WiFi signal strength right from the menu bar. 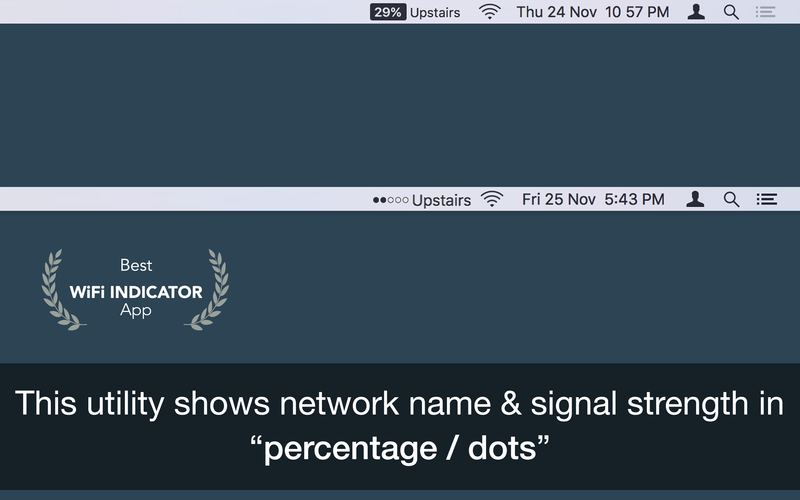 This utility adds network name, signal strength with “neat icon”, “percentage” on the menu bar. 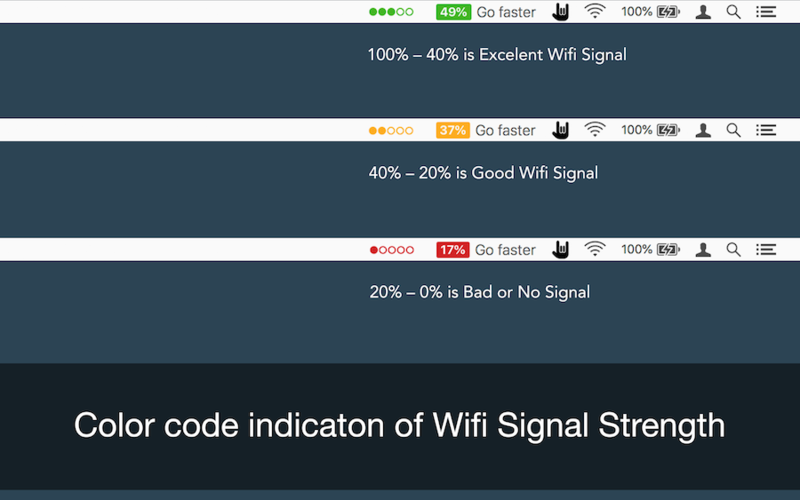 It also which lets you know the strength of the signal and other stats like your IP address, mac address, other available networks, open or secured, channels, BSSID, RSSI, Noise, Transmit Rate, PHY, Interface mode, Security type, etc.